Most of the visitor of BaselWorld start in the impressive Hall 1.0 and you can not pass this hall without stoping at Rolex and Patek Philippe! Hereby some snapshot (my apologies for the poor quality). At Patek it also seemed like a ladies year… Focus was on the PP Seal and relaunch of midsize Nautilus models in precious metals with diamonds. The platinum version is one of my favourite PPs, but I have to admit this gold version looks amazing! 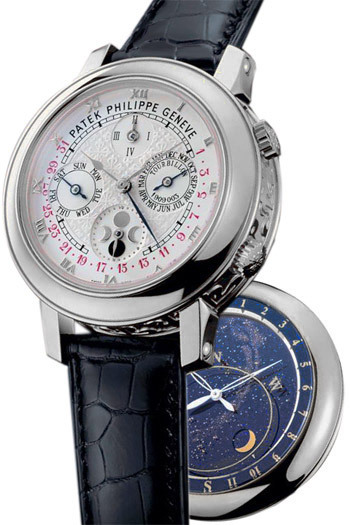 PP walked away from the legendary Geneva Seal and introduced the Patek Philippe Seal. 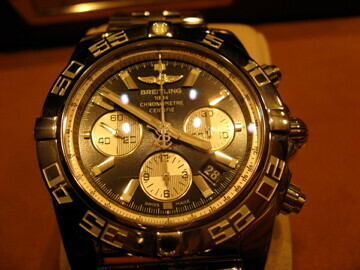 Breitling Navitimer 125th Anniversaire – Limited to 2009 pieces. 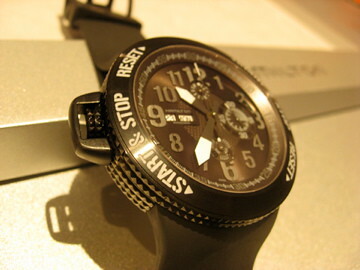 Yes, you simply activate and reset the chrono by turning the bezel! RAF Military www watch. 38,50mm with reference L2.731.4.53.1! 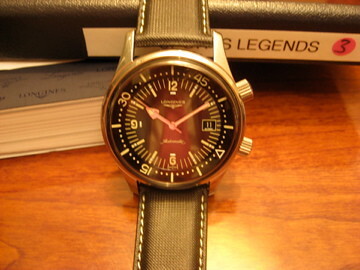 Last year Longines re-introduced the Legend Divers, this year they added a version with a date. 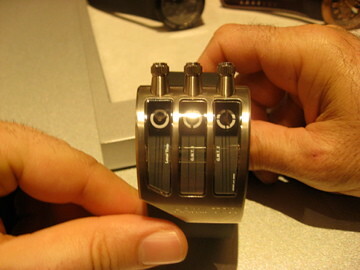 Tomorrow more news from BaselWorld! Stay tuned. We all love ranks, lists, competition and knowing who is the best. 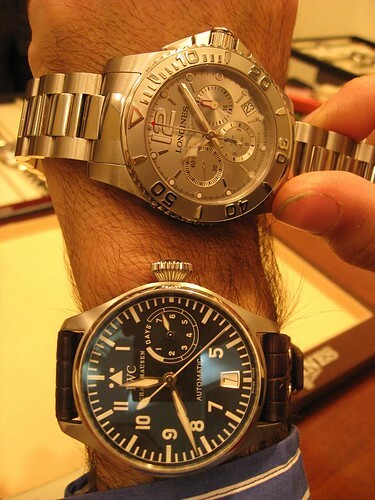 In the watch industry many players crown themselves as the king of the industry. Consumers always want to own the best watch. But who is actually the king? 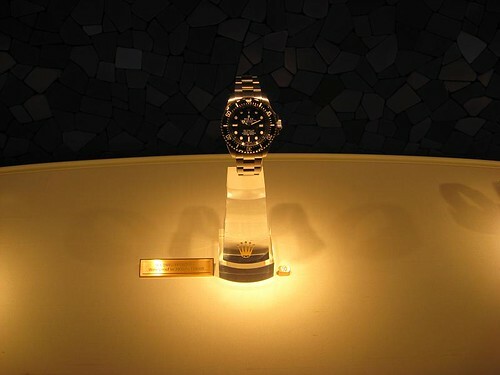 Is Rolex the king of the watch industry, like many people (want to) believe? 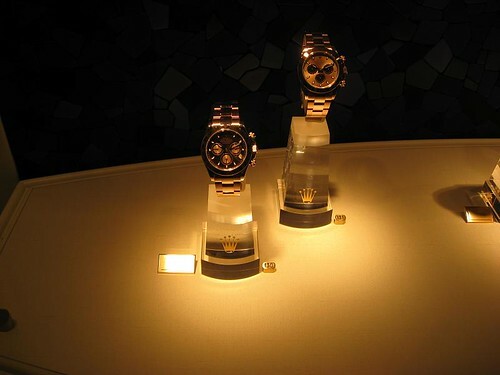 Or, did Rolex crown itself as the king of the watch industry, and therefore have a crown as their logo? Like many people, I always wondered what watch brand was the absolute number 1. But who and what defines the number one? As a small child, I always believed the one that produced the largest quantity of watches, is the number one. Since I was infected with the Swatch virus, that started in 1983 (I was four and had a Swatch on my wrist – I couldn’t even read time), I believed Swatch was the number one. As I grew older, Swatch grew to be a huge international hype. When I grew even older and started to understand the value of money and recognize the diversity of the many brands, I believed Rolex was the number one. Not only because it seemed everybody who spoke about watches, spoke about Rolex; but also because it seemed the ultimate watch brand for many. When I started high school and started to work in the family business during holidays, I learned there were so many more brands out there. Many of them weren’t even sold in The Netherlands and I started to fall in love with Jaeger-LeCoultre, Patek Philippe and Audermars Piguet. Now that I am working in this industry for more than 10 years, I have the greatest respect and appreciation for the geniuses that are still alive and create amazing, innovative movements (like: FP Journe, Richard Mille, Grubel & Forsey, Renaud & Papi, etc). But also people, like Kurt Klaus, who work for the major brands (I had the honour to have met him on many different occasions and even drove him from one side of The Netherlands to the other – the poor guy, I drilled him for the complete two hours). At the end of this post I will share my opinion of whom I believe is the king, but first let’s define some means to measure the greatness of a brand. First and foremost, people will always define quantity. But this is tricky, since some Japanese or Chinese manufacturers most probably produce more pieces annually than the complete Swiss watch industry. So, we need to narrow this down. The second definition that pops into my mind is exclusiveness and that is immediately linked to luxury. And, to measure exclusivity one can use recommended retail prices and therefore crown the most profitable watch brand as the king of the watch industry?! But, what about values at auctions? Let’s propose historic and/or market prices as a third definition. As a fourth definition we could consider is independence as a parameter… We all know “money makes money” and with enough marketing budgets, one can ‘buy’ exclusiveness, market shares, brand awareness and raise auction priceses (Antiquorum Scandal and remember the Omegamania auction?!). So, independent brands should be considered more successful, if they excel in a market that is dominated by huge globalized public listed companies (Swatch Group, Richemont, LVMH and others). And, last but certainly not least, perception is a parameter I want to consider. 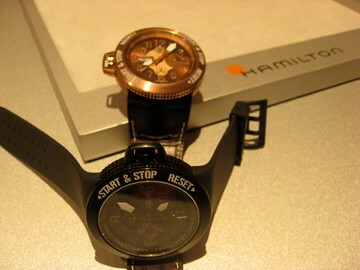 For my bachelor thesis I did research about brand identity versus brand image of watch brands. This is a very interesting and timeless subject: The self-perception of almost anyone (persons and companies) is different if compared to how we are perceived (but then again, the truth is in the eye of the beholder 😉 ). As discussed already, some single Asian brands produce annually more watches than the complete Swiss industry, so we need to narrow it down. In the trade we generalize and split the market in to three segments: Low-end (up to EUR 1.000), mid-range (between EUR 1.000 and EUR 3.000 – some say EUR 5.000) and high-end (a.k.a. Haute Horlogerie – from EUR 3.000 or EUR 5.000) and up. And in the high-end there are many sub-segmentations possible, but we will neglect those for now. 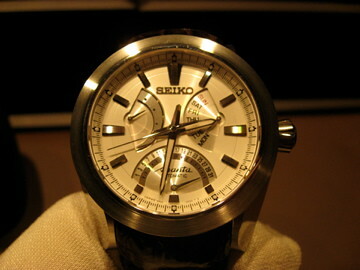 In the low-end, Seiko is the king of quantities. In the mid-range, I find it very difficult to quantify, but I personally believe it is Tissot (please share if you have any statistics – I couldn’t find any now). And, in the high end it is indisputably Rolex! Although Rolex does not publicize any figures, there are rough estimates that Rolex manufactures about 1 million watches a year. We can conclude this by the figures the COSC publicizes. 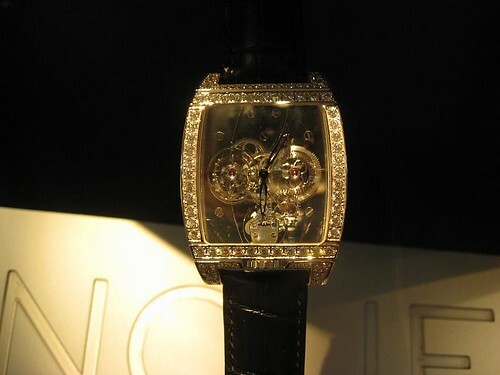 Many watch brand nowadays compete for the title to have created the most exclusive watches. Some say the most expensive watch is the most exclusive (I believe that today this is still the Patek Philippe Sky Moon Tourbillon). 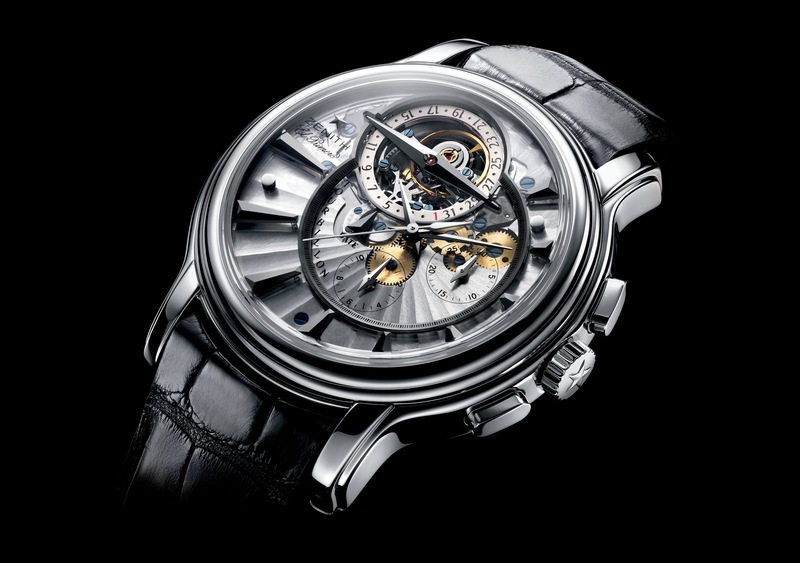 Others say that this is not only one of the most expensive watches, but also a watch that has been produced in a limited series… Of course, a piece unique should win this title… lately people say it is the replica of the Breguet Marie-Antoinette. But let’s not forget the IWC Grand Complication Il destriero scafusia, Vacheron Constantin Tour de I’lle and Blancpain Le Brassus 1735 Grande Complication. Of course there are a few more that belong in this list. But measured overall, Patek Philippe is the brand that creates and manufactures the most exclusive watches in the market (you’ll rarely find discounts on these watches – many models will be sold with a premium). Their aim was from the start to create the best watches in the market and even today they live by this promise. Linked to this, I dare to say it is the most profitable company, if measured by market price divided by quantity sold annually (no numbers know, so this is pure my personal hunch). Although recommended retail prices could indicate how exclusive a timepiece is, but wouldn’t market prices be an even more important tool to classify the exclusiveness of watches? As discussed in the previous paragraph, there are only a few watches that actually sell above the asking price. The first watch that comes to mind is the Rolex Daytona in stainless steel for a watch that is still in production and on auctions almost all vintage Patek Philippe watches break records (In the top 10 of The Most Important Vintage Wristwatches (made before 1990), all 10 watches are by Patek Philippe!). 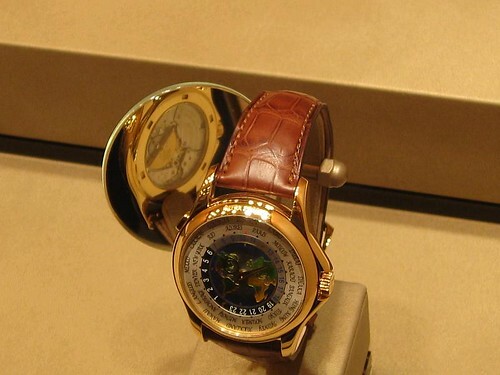 Therefore I believe Patek Philippe is the undisputed king of timelessness and holding its value. Or even more important, proving to be a good investment: It will only go up in price. 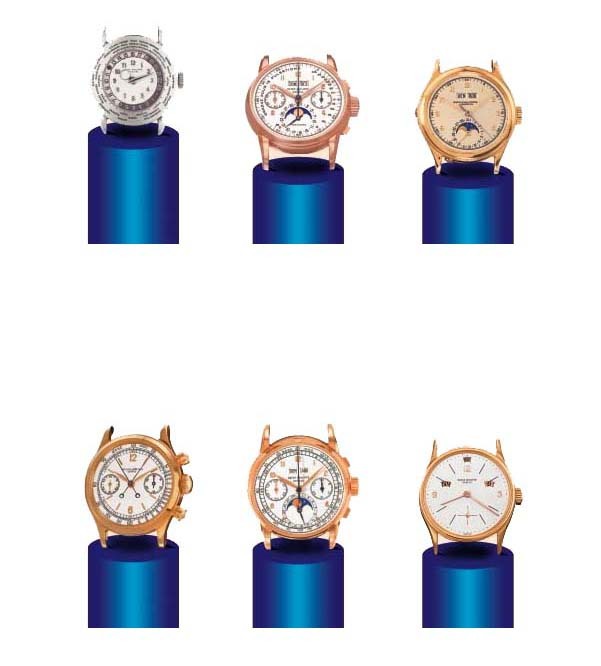 On top of that, nowadays, almost every new launched Patek Philippe watch sells for a higher price than the recommended list price! But ofcourse the also produces models that make many of us wonder what the designers where thinking while creating these pieces. Unfortunately all these groups do not publicize the individual figures of the subsidiaries and therefore we can’t analyze and compare individual watch brands. On top of that the individual watch brands also do not publicize their turnovers and profit margins, so therefore we have no clue who is the ‘largest’ watch company by turnover. But if we have to guess what group is the largest, based on their turnover generated by pure watch sales, Richemont is definitely the largest! Although LVMH is more than three times larger, their watch sales most probably do not surpass those of Richemont! We have no clue how profitable Patek Philippe and Audermars Piguet exactly are, but everybody in the watch industry indisputably assumes that Rolex is the largest and most profitable individual watch brand/company. 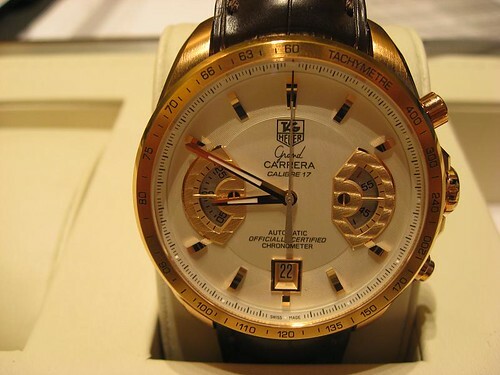 There is no manufacture that produces around 1 million quality watches annually with an average price of approx. USD 8.000! And then we do not even take Tudor in to account, but that is probably pocket change for Rolex S.A.?! This is a difficult one! As written before, I have written my bachelor dissertation about Brand Identity versus Brand Image. They only way to quantify this is to do a large-scale poll. In this poll one should assess the identity of a brand and compare it with the perception of its consumers. So litteraly compare the image of the consumers with the identity a brand. Again I emphasize that this post is my personal opinion and I am heavily generalizing here. My purpose is to provoke responses, so please do share your opinion. If I have to guess, I believe that Rolex believes they are the king of the watch industry (therefore have a crown in their logo). On the other hand if you ask the majority of the population and ask them what the best watch brand is, probably 80% will say Rolex! 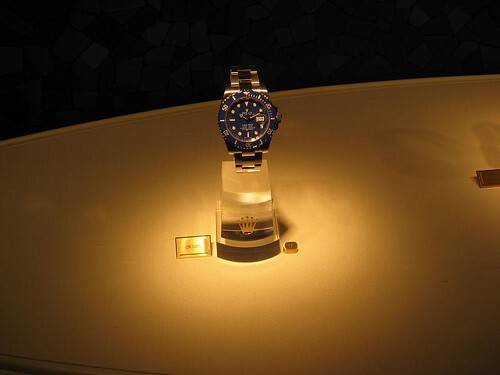 Rolex ranks number 72 of the Top 100 Best Global Brands (Newsweek), so that is not very strange. 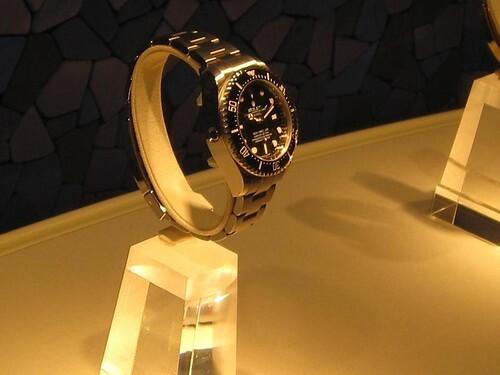 The funny things is two years ago the Swatch Group publicly attacked Rolex (the subject of my next post), by claiming that in three years time Omega will be bigger than Rolex, measured in turn over. So, in 2006 Nick Hayek Jr. claimed that by 2009-2010 Omega will be bigger than Rolex (therefore admitting Rolex is the king) and aiming to be the king of the watch industry. What about the 20% that doesn’t believe that Rolex is the king… Many people who have decided to by a good watch, go out there without analyzing the large selection of watches available and buy a Rolex. They buy a Rolex, because they believe they bought ‘THE’ best watch out there. 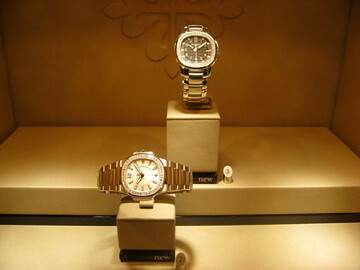 But, often they are disgusted by the fact that ‘everyone’ has a Rolex (or Lolex – or any other look-a-like). 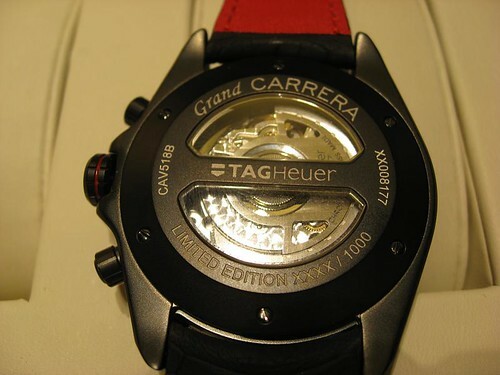 If their passion for mechanical movements grow, they are obliged to look into other brands. 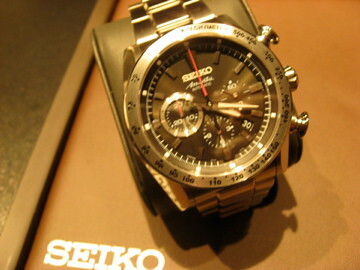 If you want a chronograph (and have a Daytona or can’t get one) you are obliged to look at other brands. If you want a watch that is even more complicated, you definitely have to look elsewhere. So, for lovers of mechanical movements and complications, I believe Patek Philippe is the undisputed king, and I simply base this notion on the fact of the auction results! 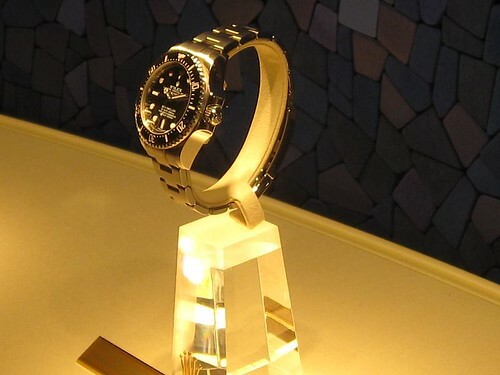 But even the true WatchFreaks often love Rolex watches too! 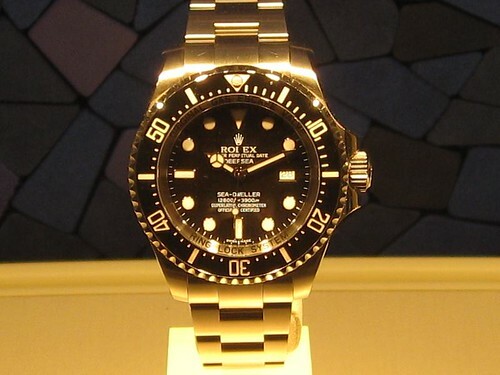 Rolex has made and still makes iconic/minimalistic/qualitative movements and watches! 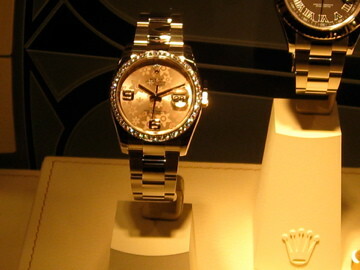 Personally I have loved Rolex, then the love passed, it come back again and now turned into a love-hate relationship…. Yes, I know: Love is complicated 😉 Maybe a nice topic for another post! 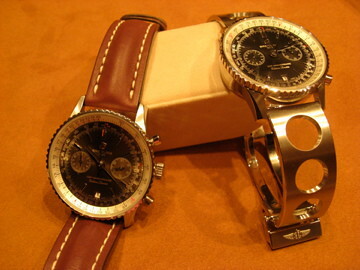 – Like many other watch brands, has an amazing heritage. It is still a family company (but not the Patek or Philippe family – but still independent). 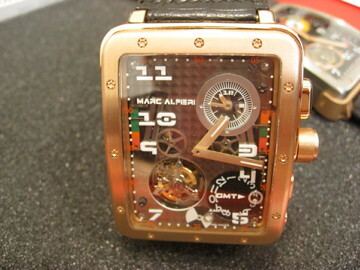 – It is one of the most innovative watch manufacturers out there. 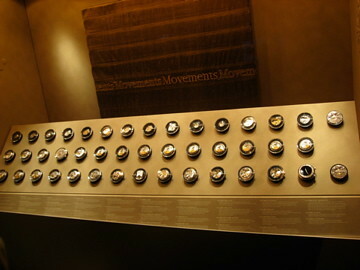 I believe Patek was the first one to create silicium spare parts in their movement. 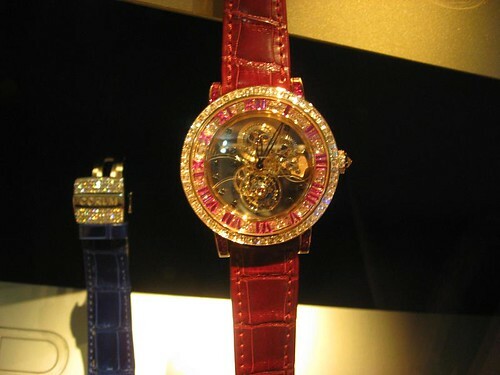 But to be honest, Audemars Piguet and Ulysee Nardin are as innovative. But it underlines again that the independents invest more in the long term, versus the short term profit strategy of many groups. – I believe innovation and quality go hand in hand, but when Patek Philippe was founded their aim was to produce the best movements and watches out there. This is proven by the results on auctions. Today they also produce one of the best watch movements and watches, this is underlined by the huge waiting lists for models and the premiums people are willing to pay for the new watches! 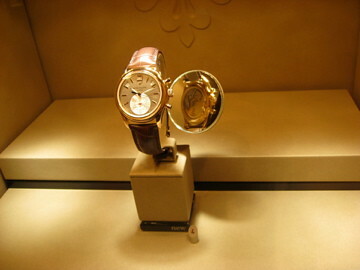 – In the battle of who produces the largest watches, Patek still sticks to the ‘old-fashioned’ small and thin movements. I believe that is very daring, but then again, that shows vision and faith in their own identity and strategy! – Last, but not least: Exclusivity/Distribution. 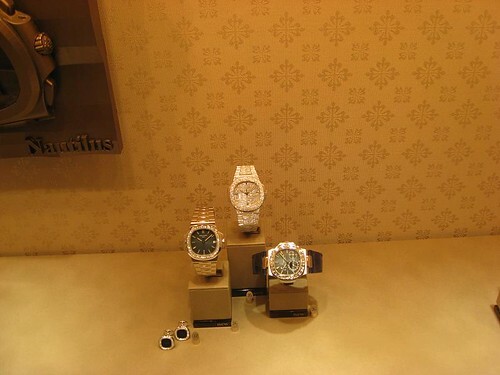 Even though Rolex doesn’t really have many retailers compared to other brands, Patek is truly exclusive. It only has a handful retailers and they only work with the best retailers in every city/country! No concessions to quality and service! The funny thing is, I believe that Patek is the King of the watch industry, I still do not have the urge to run out and get one particular Patek at this very moment. I do love the 5960p, but still I love my Portuguese Chrono more (sorry!). And I always loved the Nautilus (am a huge fan of Gerald Genta – AP Royal Oak is my favourite), but even though the new 5711/1 grew to a good size of a 43mm, I find the watch thin (case and bracelet)! But what an amazing movement and what a finish on every single detail! 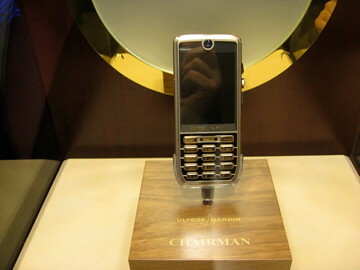 Yes, when I am a bit older and have a lot more grey hair, I definitely want a Perpetual Calendar in white gold (5140G). But still, 37mm is very small. 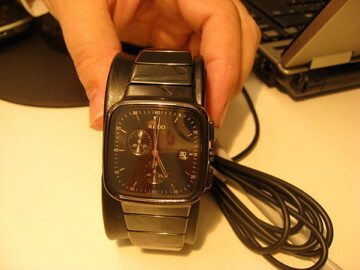 My wrist is not to big and therefore I don’t wear watches over 44mm, where 42mm is ideal for me. 39mm is really the minimum for me, but just for the love for the brand and this model it is a dream to wear the 5140! But first I want the IWC Portuguese Perpetual Calendar (IW502218). 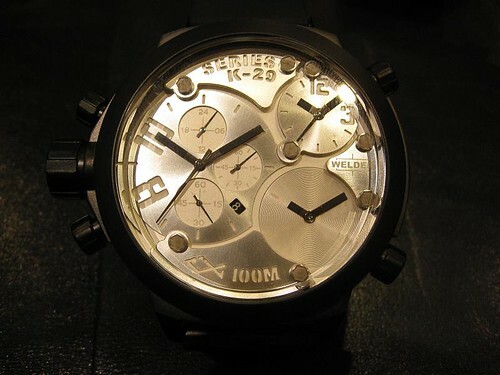 I am very curious who you believe is the king of the watch industry! P.S. 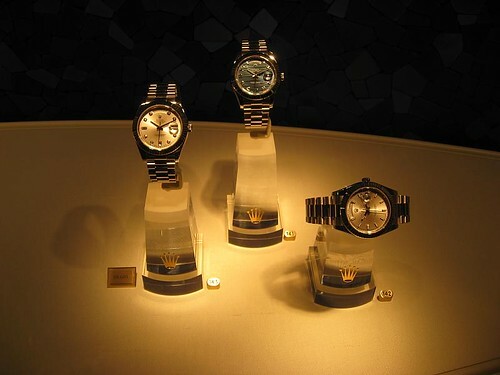 Rolex was founded in 1905 and the Crown-logo was registered in 1925. 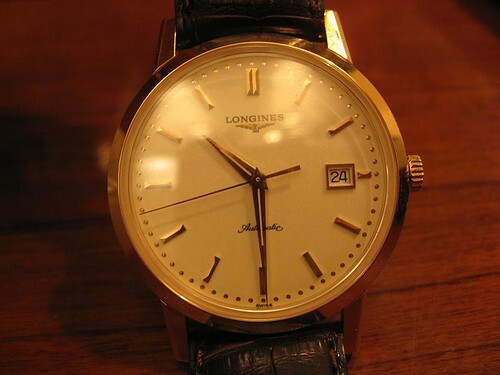 Even Longines has jeweled watches and this is a special piece where the side of the lunette/bezel is set. 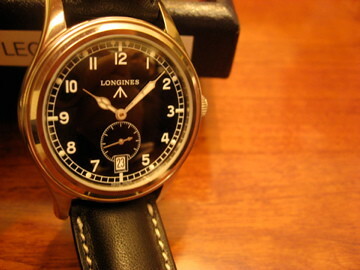 Longines made the HydroConquest in 47,5mm, see the differecen compared to my fathers 46mm IWC Big Pilot. 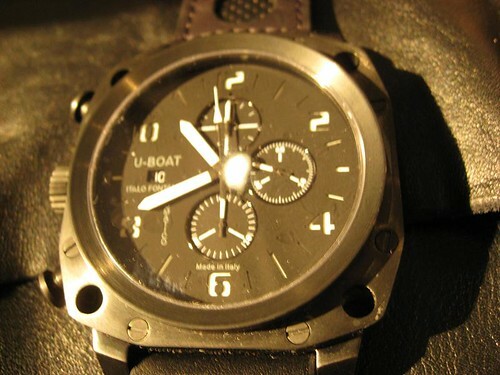 U-boat makes black watches with black PVD on steel, titanium or complete ceramic cases. 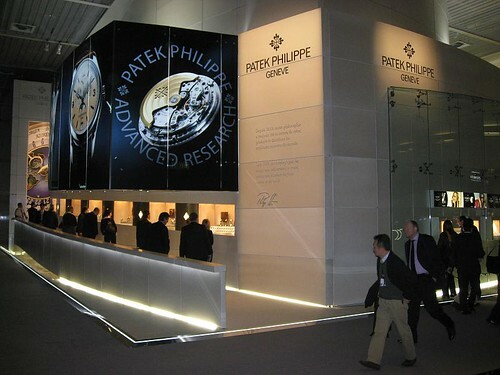 Patek Philippe Advanced Research Lab was the first to create a silicium escapement! YIPEEEHHHH!!! 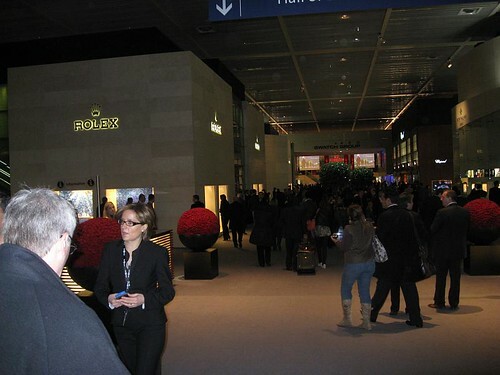 THE most important trade show in the watch industry started in Switzerland: BaselWorld. This is noticeable by the high volume of traffic to our website and the huge amount of new posts on blogs, new articles on watch forums and newsletters sent out by the major brands. 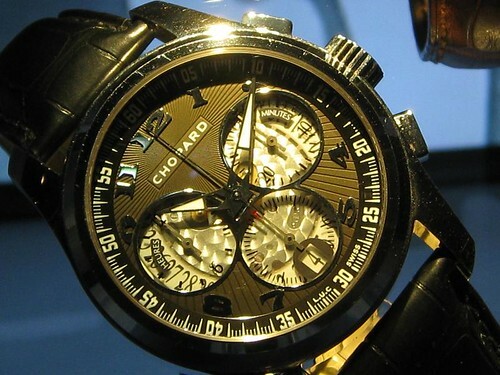 In case you are a New WatchFreak, BaselWorld is the leading event for the watch industry. 2.109 exhibitors will present their newest collections. 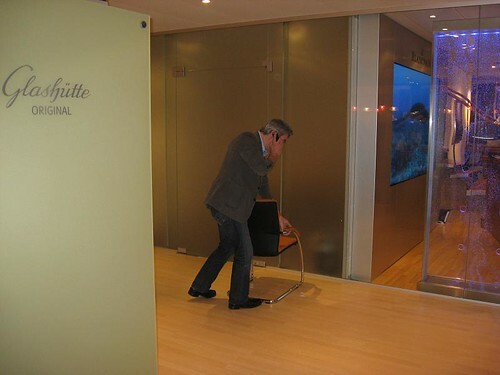 Over 101.700 visitors come to Basel to see the marvels of 2007 last year. All the major watch brands (expect the Richemont brands plus: AP, GP, JR, Parmigiani and Roger Dubuis – they organize SIHH in Geneva next week) launch their newest model in this period! Personally, I will be present at this event from Sunday Evening April 6th, 2008 till Thursday April 10th. 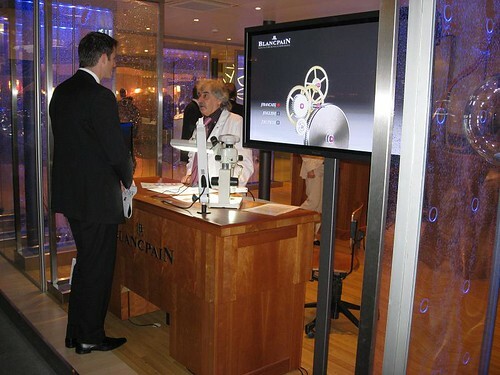 Then I will head to Geneva to visit the SIHH event till Saturday April 12th, 2008. I will try to upload a post daily from these events with pictures on the Ace Jewelers blog (www.aceblog.info)! Keep posted! Although I spoke to some people that visited the fair already today, none of them visited the Rolex booth yet, it seems that Rolex is stealing the show this year (again?!). To Manufacture or Not To Manufacture, That Is The Question! 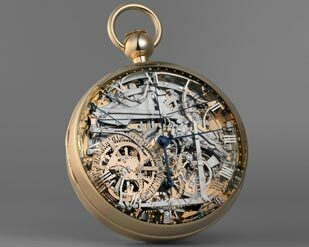 Last decade almost all watchmakers were (and still are) rushing to become a manufacture watchmaker. To answer to the title of this article, “To Manufacture or Not To Manufacture, That Is The Question!”, one needs to define the title ‘Manufacture’, and that is what ALL watchmakers leave in the middle! This is something that I can agree with. If we follow this definition of Manufacture, then suddenly there are NOT many watchmakers that are ‘true’ watchmakers. Companies that do not create new calibres are not watchmakers, but watch assemblers or to make a bridge to car making: Watch Tuners (Does the program ‘Pimp my Watch’ already exist?!). These watchmakers take a calibre and tune the ‘engine’ of the watch (Tissot, Raymond Weil, Rado, Baume & Mercier and many more). 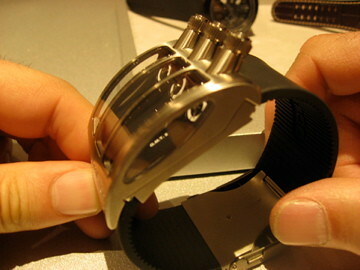 As you notice this discussion is soley about the ‘heart’ of the watch, the movement. 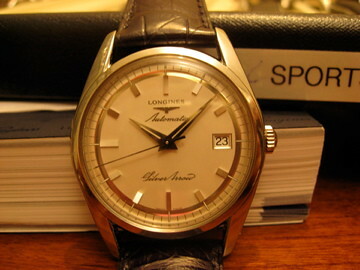 That is why I only take mechanical watchmaking in to consideration in this article. “For a long time, Manufactures were a rare breed in the watchmaking world and for one reason: after the quartz tidal wave, few companies held on to production resources that were tuned to the manufacturing of mechanical movements. Given the investments and skills this type of venture entails, few were tempted to make the move towards greater autonomy and industrial integration, in particular as there were no bottlenecks in production. How things have changed. With the return of mechanical watches, one of the main priorities has been to guarantee a continuous flow of supplies, particularly of movements. Hinging on this is brands’ credibility among an increasingly well-informed public, not to mention their all-important legitimacy at a time when more and more companies lay claim to the title of Manufacture. 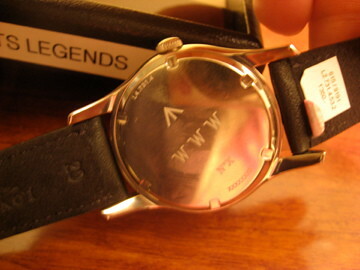 In 1982, N. Hayek Sr. was attracted as a consultant to advise the SMH Group to overcome the ‘Quartz Crisis’, that crushed the mechanical watch sector: cheap and precise electronic watch movement (mostly Japanese) took the Swiss mechanical watch industy by surprise and many companies went bankrupt. 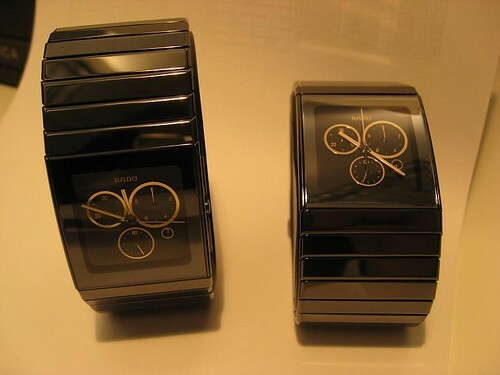 In 1983 SMH group created a revolutionary watch concept: a plastic watch with a down-sized quartz movement (lesser spare parts) that took the world by storm. I don’t think I need to elaborate about the brand Swatch…. The name of group that owns over 156 Swiss watch (spare parts) factories and the following brands nowadays: Breguet, Blancpain Glashütte-Original, Léon Hatot, Jaquet-Droz, Omega, Longines, Rado, Union, Tissot, ck Calvin Klein, Certina, Mido, Hamilton, Pierre Balmain, Flik Flak and, last but certainly not least, Swatch. – Harry Winston teams up with a different magnificant individual watchmaker every to years to create a unique Opus watch. 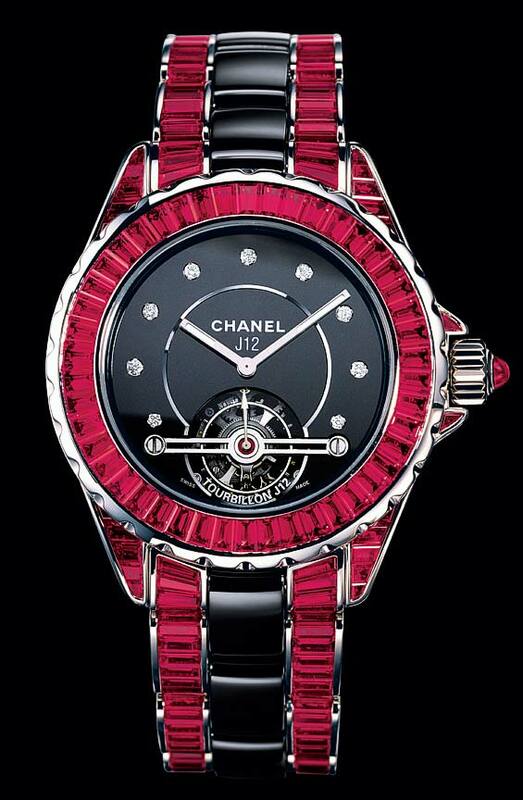 – Chanel will launch watches with Audermars Piguet movements during Basel 2008. 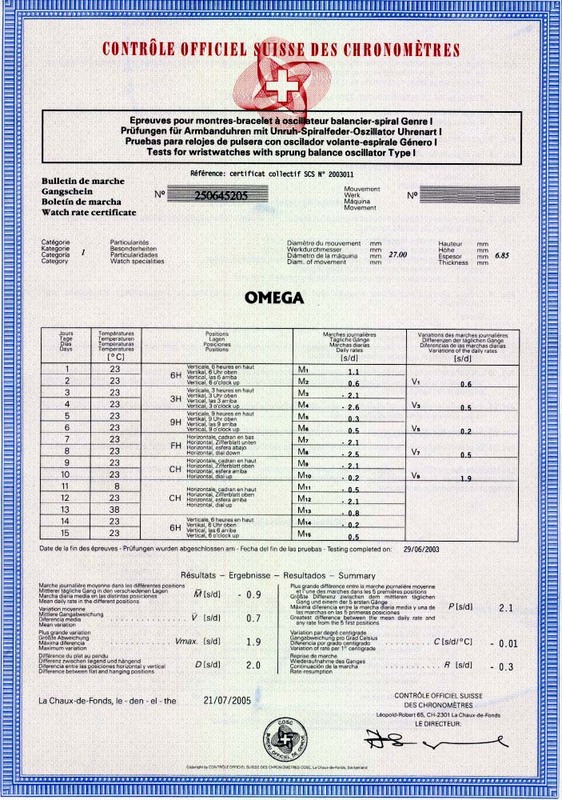 – Omega bought the co-axial eschapment from the Englishman George Daniels (BTW: Patek turned it down in the 1970s). What I also believe many brands forget in their race to become a ‘pure’ manufacture, does the consumer really want/need it? Personally, as a purist, I love the thrive for excellence, but a bit more quality is an exponential spur in cost/price. What’s wrong with the strategy Breitling and the pre-Richemont IWC have: Their philosophy is to create a product with an excellent price-quality ratio. That means, create watches they believe are ‘Instruments for Professionals’ and using the best resources at the best price. 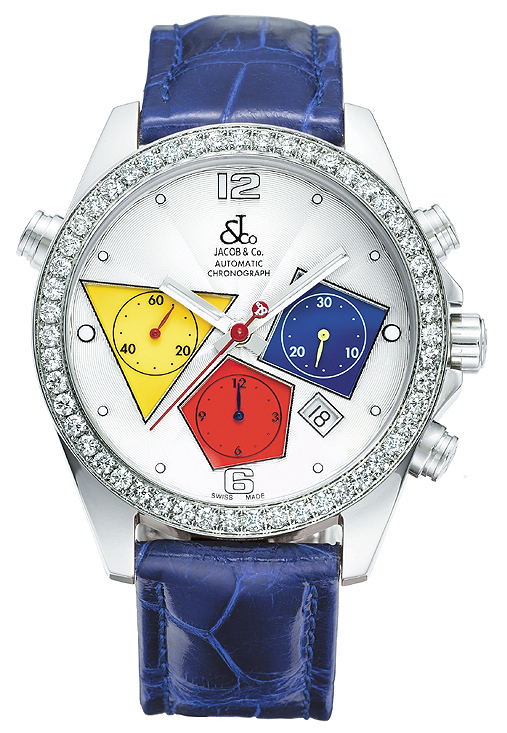 So, they always use the Valjoux 7750 (nowadays ETA 7770 – Yes, both a Swatch Group company and ETA swallowed the legendary Valjoux), and enhance it to their personal quality specifications. And what I think even is more distinguished, is the fact that they are open about the fact that they are NOT a manufacture. Nowadays, almost every watchmaker calls oneself a manufacture, but if you confront them with the question, how many of your spare parts are actually made in-house, you never get a straight anwser! I will not start the discussion about what is actually ‘Swiss Made’. If you are curious, have a look at the website of: The Swiss Watch Industry FH, you will be amazed what a hollow title that is! 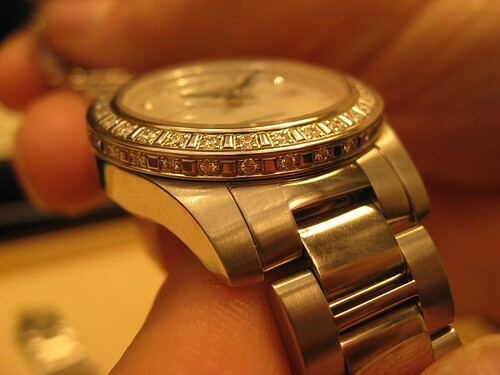 To end this article: Should watchmakers become a true Manufacture? To my opinion, please do, but only if you are true to your own values and more importantly to your fans, the WatchFreaks. Don’t do it to have a reason to increase prices. Don’t do it to spite the big bad wolf, The Swatch Group. Don’t worry about them, the Anti-Trust Laws in the EU are fierce and they can’t use all the movements they produce for their own watch brands (unlike they claim). Don’t be vague about it, be ethical and don’t mislead the consumer. The society is changing so rapidly, that the watchmakers should be happy that, in such a hi-tech society, people still buy old-school timekeepers. Everybody has a clock on his cell phone, in his car, on his microwave, Philips Wake-Up Light, etc.